1-CD with 8-page booklet, 19 tracks. Playing time approx. 43 mns. 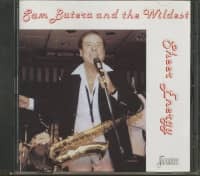 Anyone with the slightest appreciation for Louis Prima's incredible Vegas shows of the '50s and '60s will instantly recognize Butera's name ... and his hard-driving, don't-tell-'em-it's rock 'n' roll sound. 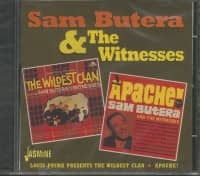 Butera, with his band The Witnesses, backed Prima for the better part of 20 years, but had an equally interesting career before the Vegas run. Here Bear Family collects the whole of the four sessions Butera cut for RCA in 1953/54 19 tracks including gems like Chicken Scratch and Easy Rockin', 6 previously unreleased sides and two unheard alternate versions, all featuring his sweet-and-greasy, strip-joint-in-New Orleans sax. 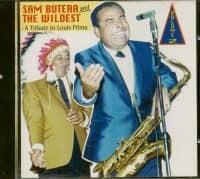 When Louis Prima, Keely Smith and the ingenious saxophonist Sam Butera recorded for the Capitol label in the late 1950s, he was in his late 40s and can look back on a long and varied career. The New Orleans-born singer, actor and trumpeter already has his own band in 1934, but it is the songs he records as a swinging rock'n' roll bandleader that cement his fame to this day: Bananasplit For My Baby, Jump, Jive And Wail or Buona Sera are real evergreens. The B-side of Buona Sera takes up people's longing for the starry sky. Countless science fiction films such as'Invasion of Mars','Alarm in Space' or'R3 Overdue' lure people into cinemas - and then there is the'Sputnik', the satellite shot into space by the Soviets on October 4, 1957. It inspires not only the race of the superpowers towards the moon, but also the imagination of the producers of Beep! Beep!. The song is enriched with spacey noises that underline the singer's longing for his beloved astronaut. Rock'n'Roll fans who found themselves back in Las Vegas with an evening to kill could usually rely on seeing either Freddie Bell & the Bellboys or Sam Butera, although both were less well known lately. 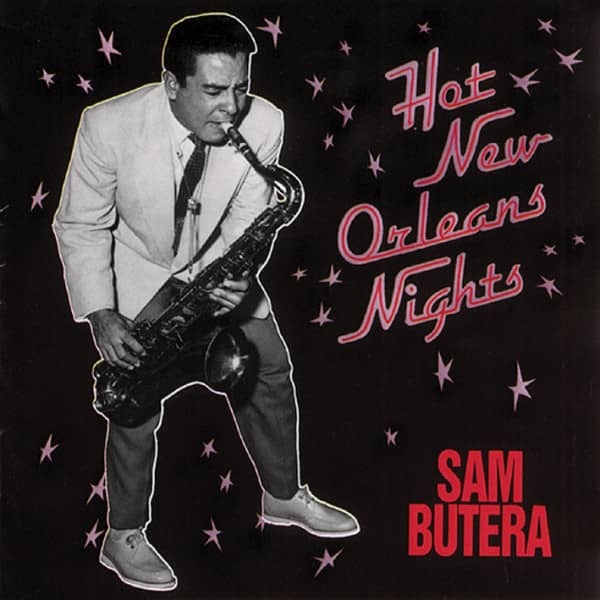 Butera is seventy-six years old (born August 17, 1927 in New Orleans) and his goal was to become a jazz saxophonist. But then in 1954 he accepted an offer from another Crescent City son, Louis Prima, to work with him in Vegas. Almost fifty years later (and with Prima dead for half that time), Butera is still there. 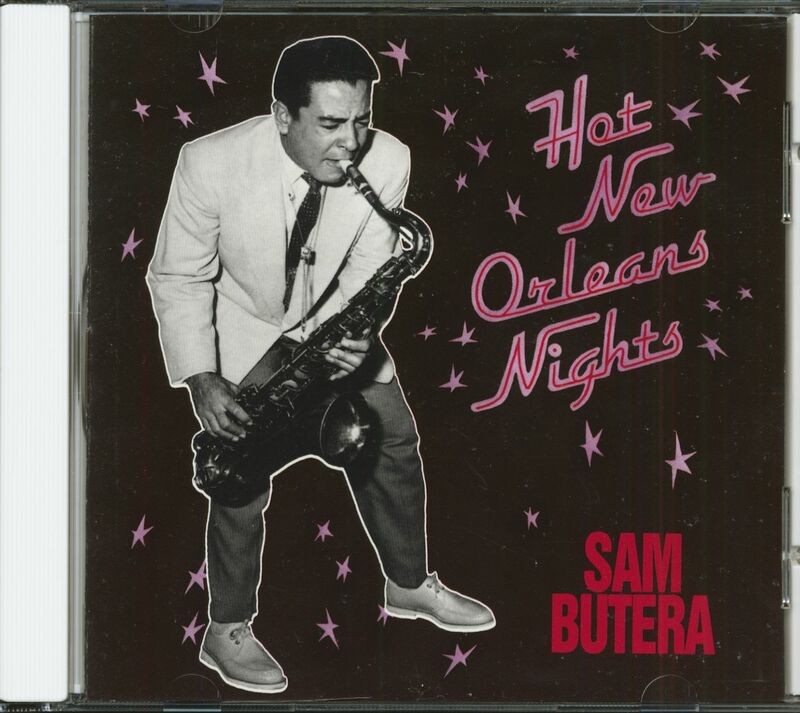 His first solo recordings for Groove/RCA were collected on our'Hot New Orleans Nights' CD (BCD 15499). From there he flirted briefly with Cadence before he came to Prima in Capitol. In 1958, he probably thought he had no choice but to cut rock'n' roll, but it was only a short distance from the honking R&B he had cut to Bim Bam earlier in his career. Ray Stanley, who had composed Perry Como's hit Glendora in 1956, wrote Bim Bam. Customer evaluation for "Hot New Orleans Nights"